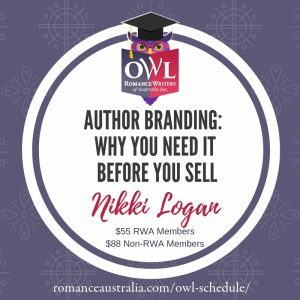 With lots of feedback from Lauren herself and a heap of worksheets and exercises to help you hone your skills, this is a great course for dedicated authors who want to push their book ahead of the rest. The course will run for four weeks. Lessons will be disseminated once a week in the form of a downloadable PDF plus some video files. One hour per week is the recommended time committment for participants to benefit from this course. Participants must have an idea for a manuscript that they are bringing to this course, ideally one still in the formative stages so they can apply the skills learned to it. However, this will work for a writer at any stage in their writing process. Feedback will be offered by the presenter on the Moodle forum or via private email if participants prefer. 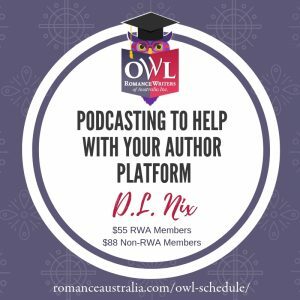 She is presenting RWA OWL, Start Your Story Right, in January 2019. Registrations now open. $55 for members and $88 for non-members.